I am linking up with Diana from My Day in K and Jayme from Teach Talk Inspire for summer flashback, where you share about something you used to do in the summer. I'm a few days late to the party. There are so many good linky parties going on right now so I'm trying to space them out throughout the week. One of the things we used to do all summer was swim. Sorry for the bad photo - it is a picture of a photo that was scrapbooked for us when we got married. I'm sitting on the ladder if you couldn't tell with my brothers and sister! Sara, I enjoyed looking at your pictures and reading through your summertime memories. 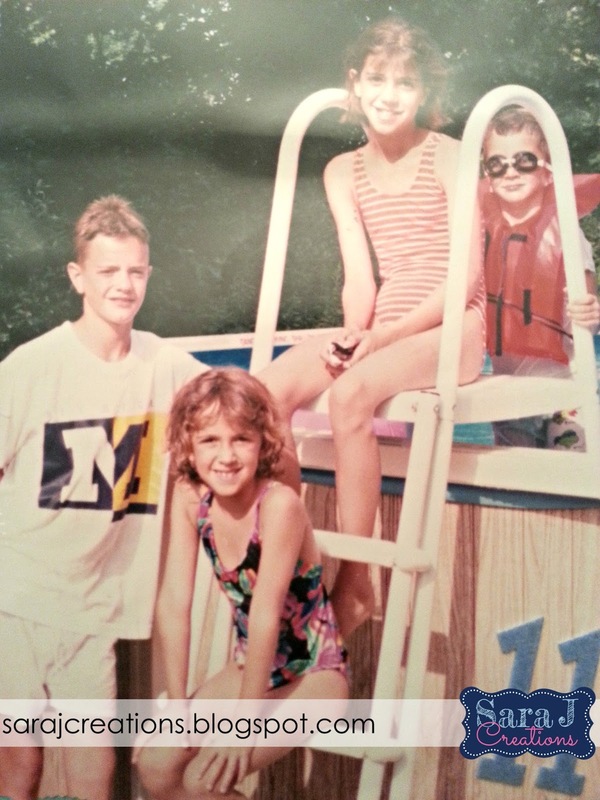 Summertime always revolved around swimming for me too. We used to have a pool at our old house and my Dad would say the same thing, they are so much work. They sure are fun though! Thanks for sharing your memories and link up with us!